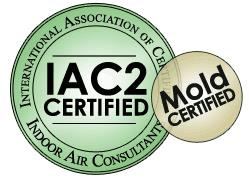 SoCal Home Inspections, The Best Choice for Mold Inspection & Testing in San Diego! At SoCal Inspections, our team of highly trained professionals will locate any suspect areas and identify the source of the problem for you. We digitally document all areas of concern found during the mold inspection and collect samples to be studied by lab professionals. Our tape sampling method is used to take samples of the mold to send to an accredited lab for analysis. Swabs and cultivatable sampling may also be necessary to sample mold in places where tape sampling is impractical or to sample the mold so the lab can grow a cultivated sample to determine the species. Air sampling may also be used to test the interior and exterior for mold spores looking for their count and species. We utilize moisture meters to aid us in identifying possible problematic areas and relative humidity monitors & thermometers to gain the humidity levels in different parts of the house. Mold is part of the fungi kingdom, a diverse group of organisms within a wide range of species that include: mushrooms, bracket fungi, molds and mildew. It is estimated that there are 100,000 to 300,000 species of mold world wide. At least 1,000 varieties of mold are common in Canada. Not all types of mold are toxic, nor is the existence of mold necessarily harmful. However, certain molds can create serious health problem. It's imperative that a highly skilled expert correctly identify mold by species and determine the potential risks presented by an infestation. People have various reactions when exposed to mold. Some of these reactions include sneezing, runny nose, red eyes and skin rash (dermatitis). These symptoms of typical mold that can be found in your home are really no different than like symptoms as to being allergic to pets, mites and ragweed. Some molds which pose a bigger threat to humans can trigger asthma episodes in sensitive individuals with asthma, so people with asthma should avoid contact with or long term exposure to molds. Many people co-exist with mold but some are under constant siege. Mold spores travel through the indoor and outdoor air continually, this is how they reproduce. When the spores land on a damp spot, they begin growing and start to digest whatever they are growing on. Mold can be found growing on wood, paper, carpet, walls, concrete, fabric and food. When excessive moisture or water accumulates indoors, mold growth will often occur. If the moisture is not controlled the problem will remain. In some areas it is necessary to install ventilators. Places like bathrooms, laundry rooms need a form of air circulating device as: open windows, fans, dehumidifier to keep mold from growing. Black Mold or Stachybotrys Chartarum, aka: Toxic Mold Stachybotrys Chartarum (atra) is a greenish-black toxic mold that colonizes particularly well in high cellulose material such as straw, hay, wet leaves, dry wall, carpet, wallpaper, fiber-board, ceiling tiles, thermal insulation, etc. It does not grow on plastic, vinyl, concrete, or ceramic tiles. It is not the green mold on bread or the black mold on the shower tiles. There are about 15 species of Stachybotrys known throughout the world. This toxic mold grows in areas where the relative humidity is above 55%. Before drying, Stachybotrys is wet and slimy to the touch. Stachybotrys produces a mycotoxin that causes human mycotoxicosis. This type of mold is thought to be a possible cause of the “Sick Building Syndrome”.